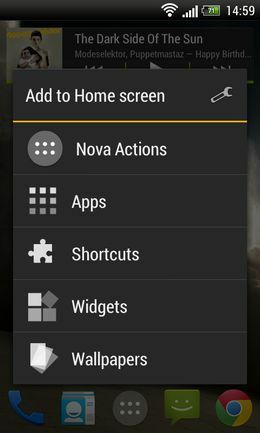 To add a shortcuts to your home screen press and hold on an empty space on your home-screen. Then click on “Shortcuts” (see screenshot below). After that, you are all set to start using your newly created shortcuts. 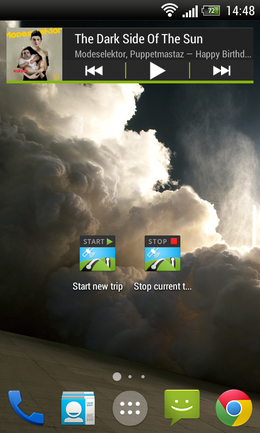 Just click “Start new trip” when you enter your car and app will start to track your journey. You will stop tracking similar way, by clicking on “Stop current trip”.